Researchers at The Roswell Park Cancer Institute, Buffalo NY recently published a 2011 study showing that smokers who switched to vaping may greatly reduce their risk of cancer. 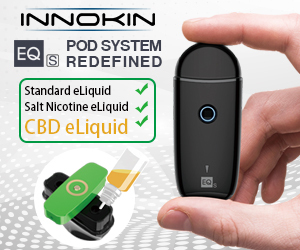 The study quite clearly shows that users of electronic nicotine delivery systems (ENDS), will receive a comparable dosage of nicotine to regular cigarette users (if they have nicotine in their e-liquid), but show a dramatically decreased exposure rate to specific carcinogens and toxins. 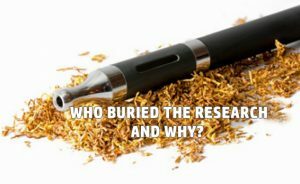 While researchers claim that the 5 year gap between the end of the study and publication was due to nothing more than the lack of time required, we have to wonder why an Institute that has thrown out several pieces on vaping over the last few years decided to sit on this particular piece. 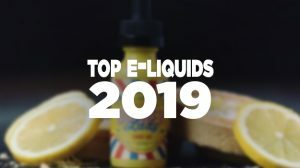 Since this study was completed, this Institute has found that vaping produces third hand contaminants (2015 study), claimed it contains more toxicants than cigarettes (2014 study), and that e-cigs cause more harm than smoking (2014 study), all of which have great headlines, but actually show that vaping is significantly less harmful than cigarette smoke upon closer inspection. The paper, research conducted on 20 cigarette smokers who tried vaping over the course of 2 weeks. 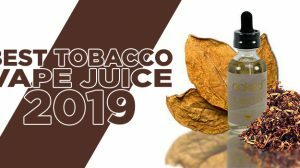 To our knowledge, this is the first study that demonstrates that substituting tobacco cigarettes with an e-cigarette may reduce user exposure to numerous toxicants and carcinogens otherwise present in tobacco cigarettes. 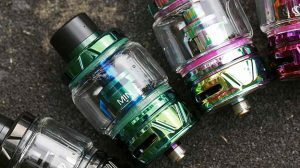 Data on reduced exposure to harmful constituents that are present in tobacco cigarettes and e-cigarettes can aid in evaluating e-cigarettes as a potential harm reduction device. 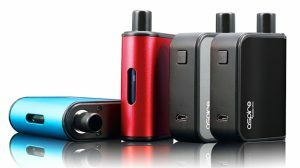 Levels of total nicotine and some polycyclic aromatic hydrocarbon metabolites did not change after switching from tobacco to e-cigarettes. All other biomarkers significantly decreased after 1 week of using e-cigarettes (p < .05). After 1 week, the greatest percentage reductions in biomarkers levels were observed for metabolites of 1,3-butadiene, benzene, and acrylonitrile. Total NNAL, a metabolite of NNK, declined by 57% and 64% after 1 and 2 weeks, respectively, while 3-hydroxyfluorene levels declined by 46% at week 1, and 34% at week 2. Significant drops which resulted in the conclusion stated above, these people still had access to the nicotine they required without exposure to harmful chemicals and carcinogens that are normally associated. Great news for vapers, but the science was kept in the closet. You will notice the last sentence of the quote above however, e-cigarettes as a potential harm reduction tool. Keep in mind that one of the regulations brought into effect under the FDA’s new rule states that the vaping industry can make no claims about it being any different from smoking. This data has sat in a US Institute for 5 years and it flies directly in the face of the FDA’s claims as well as the claims of the Pharmaceutical Industry and all the Anti-Vaping groups that have surfaced over the last few years. Are we to believe that they didn’t have time to publish this report or do we accept the fact that this is another establishment that was silenced until after the FDA got its way. Had this been published in 2011, the regulatory framework developed by the FDA would look very different today, so we have to ask the questions, who buried it and why?